Now you can take your love of sharks out of the water with this multi-wear Shark Bag! 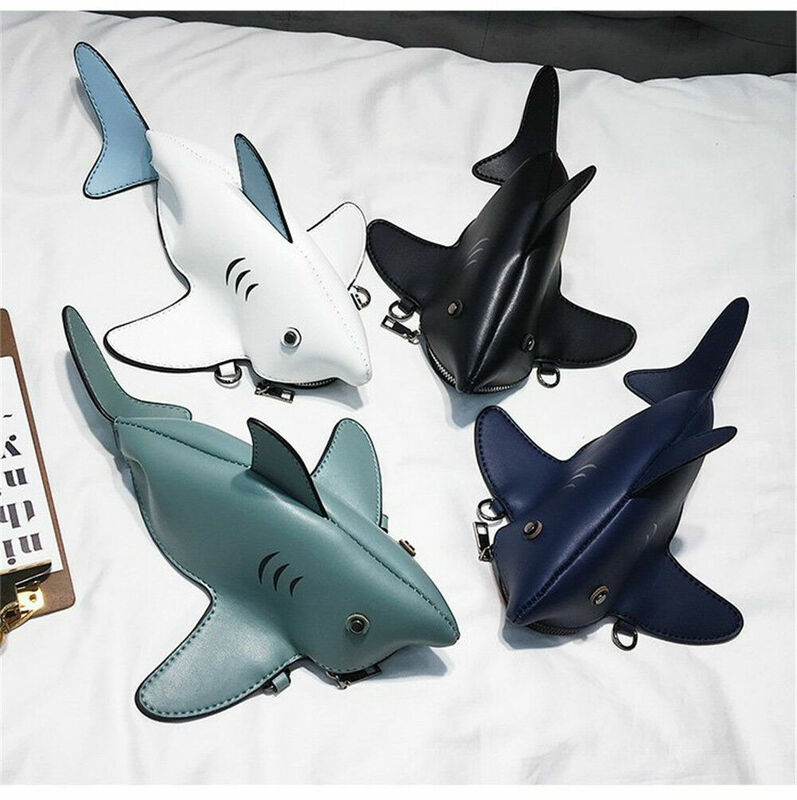 Add some attitude with this wildly fun Shark Shaped Mini Handbag. This crossbody bag is sure to set you apart from the crowd! With a removable, you can wear it three ways. As a cross body bag, shoulder bag or as a super cute clutch! Unique Animal Design - Cute purses makes you outstanding and gets many compliments. Fashion Style - Removable adjustable chain used as cross body purse bags and shoulder bags. Application - It holds your phones, wallets, keys, cash, sunglasses, makeups and small items. It is a perfect choice to go to party, travel, work, go shopping and playing. It is a good gift to your friend and yourself.